Police were able to identify the juvenile from the photo and found a BB gun that was shown in the photo. 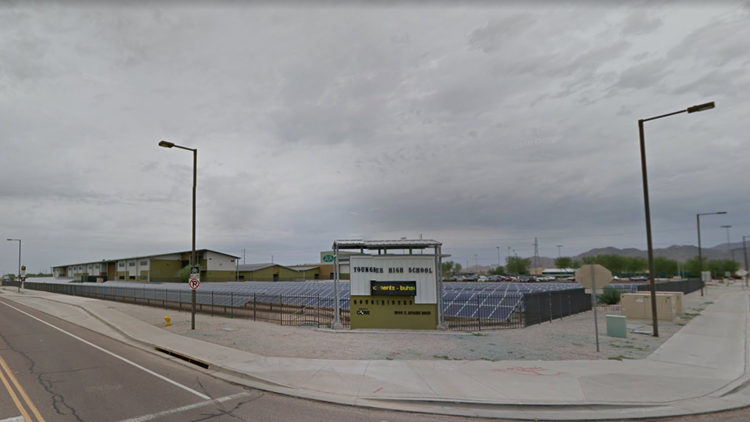 BUCKEYE, Ariz. — The Buckeye Police Department said officers arrested a juvenile accused of threatening a shooting at Youngker High School. Buckeye police said Monday morning they were made aware of the threat posted on social media overnight. The police department said a photo posted to Snapchat of the juvenile holding a firearm with a message threatening to shoot people at school circulated throughout the community. Police were able to identify the juvenile from the photo. They say the juvenile admitted to creating the threat on Snapchat. Police also recovered and a BB gun that was shown in the photo. That juvenile was booked into Durango Juvenile Facility. The Buckeye Police Department said there is no current threat to Youngker High School.